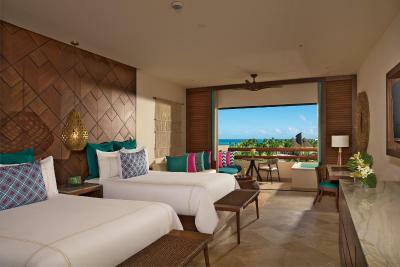 Lock in a great price for Secrets Maroma Beach Riviera Cancun - Adults only All Inclusive – rated 9.1 by recent guests! 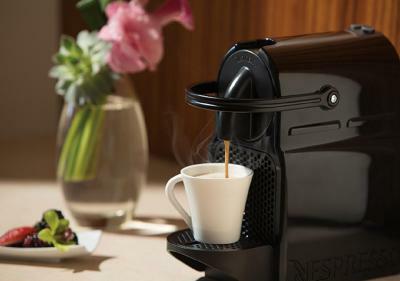 Very helpful and kind staff, other guest were friendly and fun, very relaxed atmosphere. Beautiful beach, swimming pool largesse, and most important the staff. Excellent service from very friendly people. 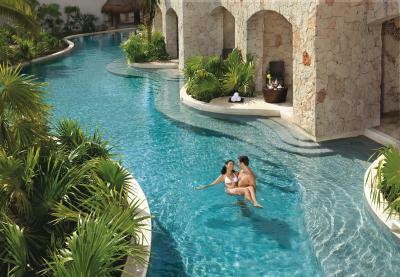 We stayed in Cancun Secrets the Vine last November and it was awesome.. However the Vine had a small beach. whereas Secrets Mroma has a beautiful shore. 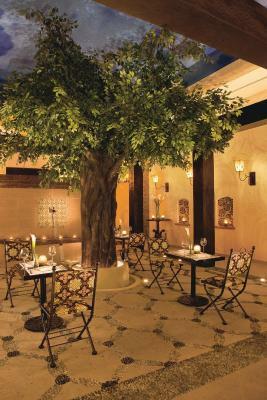 The food here is as good as the Vine (which says a lot) , however the Maroma drinks exceed out expectations . 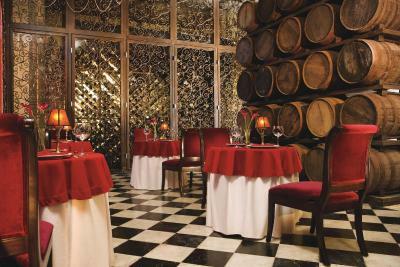 Maroma is a bit isolated which can be a plus, whereas the Vine is on the Cancun strip and very close to shopping. The two in a way complement each other. I recommend both. The staff make's the Hotel. Only problem... bar's closed too early. Special mention for the guys at the beach bar, what and attention!! Service from staff excellent. Oscar the tennis pro is excellent. Everything was amazing! The best part was the staff. Maria, my concierge for my building, was incredible. So sweet and kind. The entertainment staff was equally awesome. I always had fun at all the activities, largely in part because of the staff. So much to do, or not do. My swimout room was the best idea. 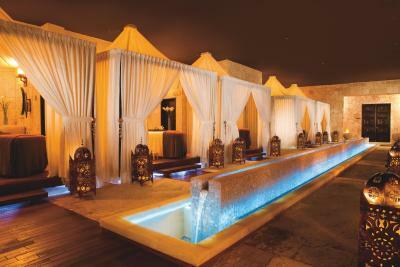 The spa was a great experience as well. Perfect, relaxing vacation. This place was amazing! I cannot believe the level of service that we received there. 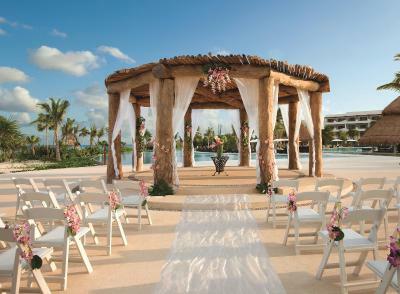 All of the staff was very friendly and they went out of their way to make us feel special for our honeymoon. It was my husbands birthday and they even did special things for him on that day. There was never any wait at the restaurants or the bars. The food and the drinks were amazing. Also, there was very a dull moment on the resort. They had things going on all day that you could get involved with if you wanted. We will be back and I would highly recommend this place to everyone. I would recommend this property to friends and family easily. 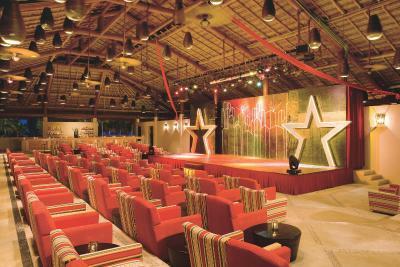 The beach/pool area was upscale and a beautiful set up. The staff was helpful and very friendly. I was impressed with all the restaurants and liked that there were at least 6 different ones to choose from. The highly dinners that were set up around the resort were an added bonus as well. 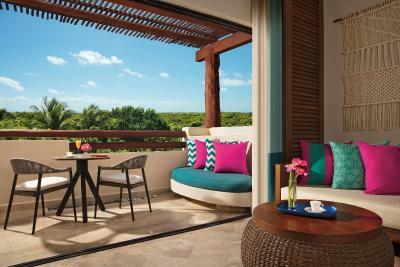 If you are looking for a clean upscale and medium sized resort then I highly recommend Secrets Maroma!! The beach was amazing. Turquoise & seafoam green water, white sand, fairly private, waves not too intimidating. Layout of the resort was perfect, nothing too far away. 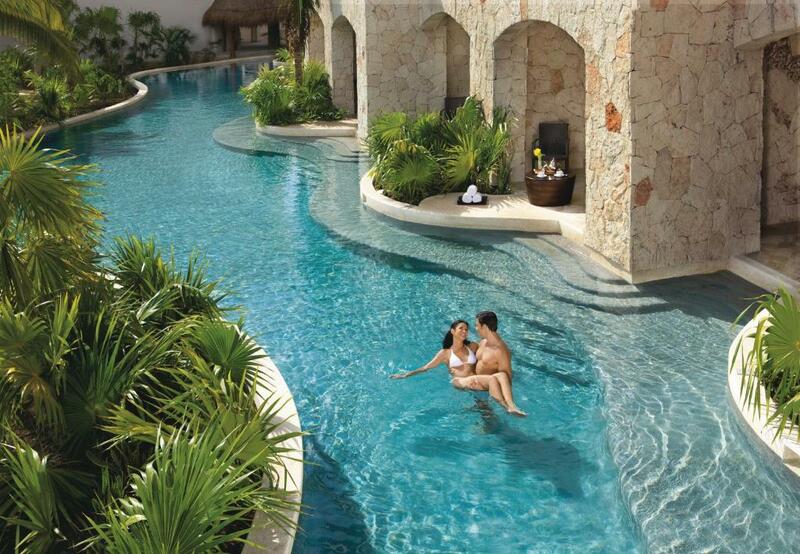 Not one of those 3000+ resorts hotels, small enough to feel a little more intimate. 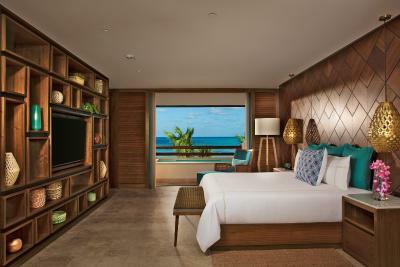 Secrets Maroma Beach Riviera Cancun - Adults only All Inclusive This rating is a reflection of how the property compares to the industry standard when it comes to price, facilities and services available. It's based on a self-evaluation by the property. Use this rating to help choose your stay! 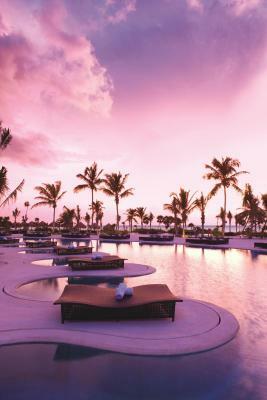 One of our top picks in Puerto Morelos.Secrets Maroma Beach Riviera Cancun is a AAA's 5 Diamond Award Winner property with 12 outdoor pools, 9 different restaurants and a coffee shop. 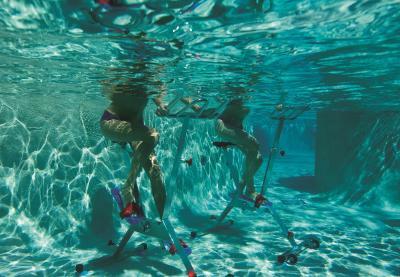 It also offers a wide variety of on-site activities like yoga and scuba lessons. 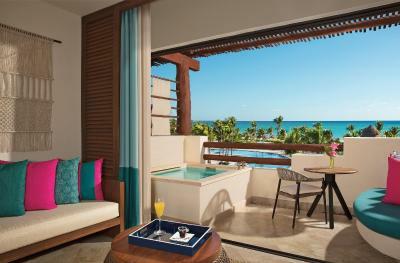 Featuring hot tubs, furnished terraces and mini-bars, the suites at this adult-only have flat-screen cable TV. 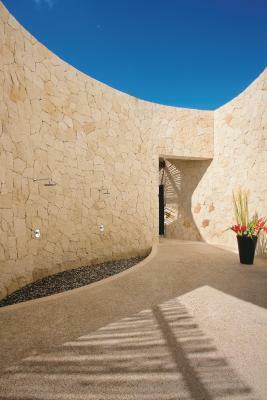 The marble bathrooms provide toiletries, bathrobes and a hairdryer. 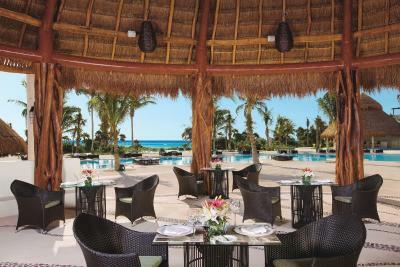 The restaurants at Secrets Maroma have different specialties like: buffet services, Mexican cuisine, Asian delicacies, French dishes, Italian specialties and grilled meals. 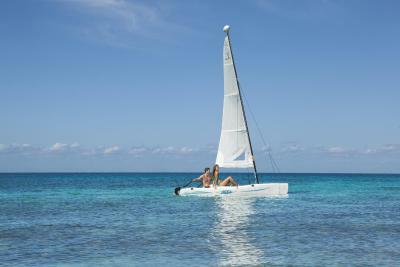 Other activities that this all inclusive offers are dance lessons, beach and pool volleyball, water aerobics and archery, among others. Cancun’s nightlife entertainment area is only 30 minutes’ drive from Secretes Maroma, and playa del Carmen can be reached in a 15-minute drive. Tulum Archaeological Site is 50 minutes’ drive away. Cancun International Airport is 25 mi away. 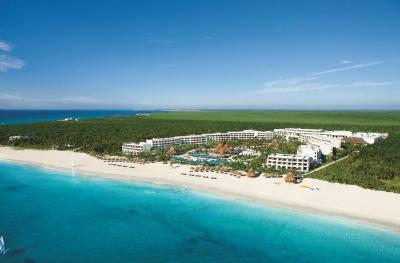 Secrets Maroma Beach Riviera Cancun in certified by Rainforest Alliance thanks to its commitment with sustainability. 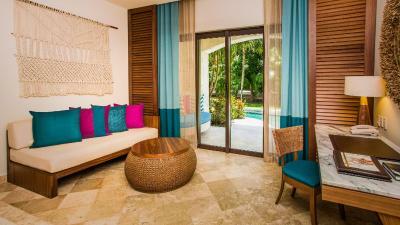 This property also has one of the top-rated locations in Puerto Morelos! Guests are happier about it compared to other properties in the area. 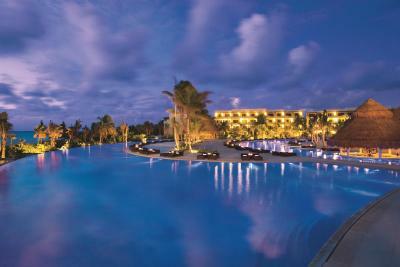 When would you like to stay at Secrets Maroma Beach Riviera Cancun - Adults only All Inclusive? This suite features one king bed, spacious room with separate seating area, luxurious bath area with a hot tub for two and separate shower. 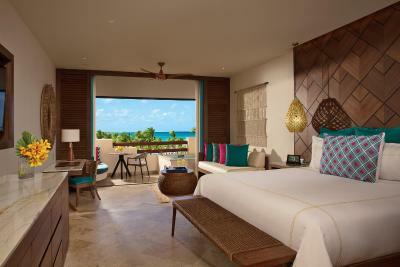 A private, furnished balcony or terrace with partial ocean views. This suite features one king bed, spacious room with separate seating area, luxurious bath area with a hot tub for two and separate shower. 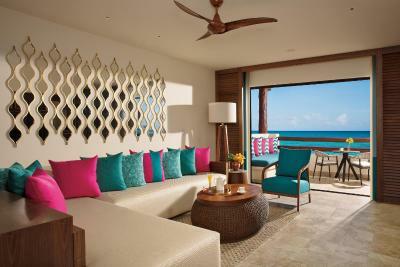 A private, furnished balcony or terrace with ocean views. This suite features one king bed, spacious room with separate seating area, luxurious bath area with a hot tub for two and separate shower. A private, furnished terrace with swim-out access and garden views. 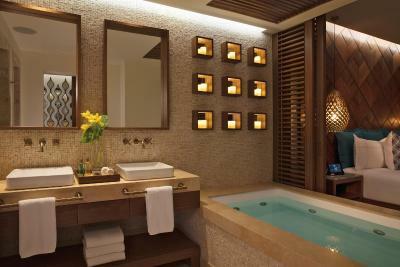 luxurious bath area with a hot tub for two and separate shower. A private, furnished balcony or terrace with exterior soaking tub and ocean views. This room has access to the Preferred Club privileges such as: private Preferred Club Lounge, Preferred status and amenities, Preferred Club suites in premium locations, concierge services, daily continental breakfast service, afternoon hot and cold hors d’oeuvres, desserts and fine liquors, shoe shine service, free internet access in suite, upgraded mini-bar service and more. 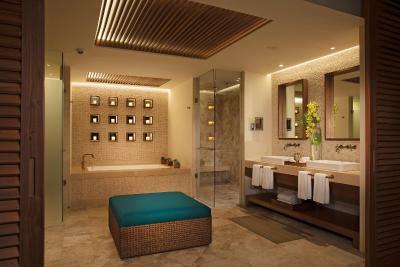 luxurious bath area with a hot tub for two and separate shower. A private, furnished balcony with swim-out access and garden views. luxurious bath area with a hot tub for two and separate shower. 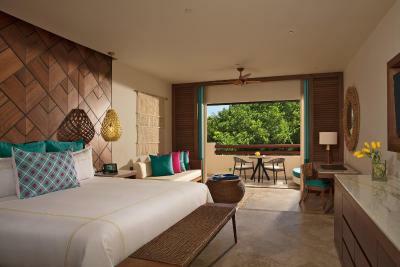 A private, furnished balcony or terrace with exterior soaking tub and Ocean Front Views. luxurious bath area with a hot tub for two and separate shower. A private, furnished balcony or terrace with exterior soaking tub (upper floors) or direct swim out access (first floor). luxurious bath area with a hot tub for two and separate shower. 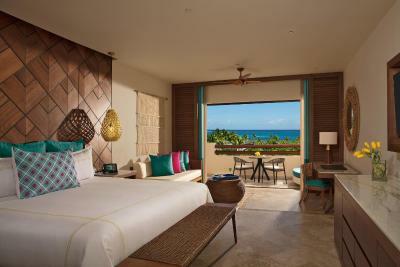 A private, furnished balcony or terrace with partial ocean views. This suite features a spacious room with separate seating area, two double beds, luxurious bath area with a hot tub for two and separate shower. A private, furnished balcony or terrace with partial ocean views. luxurious bath area with a hot tub for two and separate shower. A private, furnished balcony or terrace with ocean views. 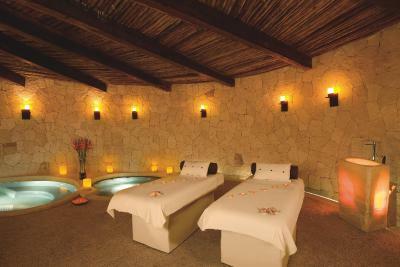 Spacious room with separate seating area, luxurious bath area with a hot tub for two and separate shower. A private, furnished balcony or terrace. This suite features one king bed, spacious room with separate seating area, luxurious bath area with a hot tub for two and separate shower. A private, furnished balcony or terrace with garden views. This suite features two double beds, spacious room with separate seating area, luxurious bath area with a hot tub for two and separate shower. A private, furnished balcony or terrace with garden views. Perfectly situated on the Yucatan Peninsula, Secrets Maroma Beach Riviera Cancun beckons along a shoreline recognized as a ‘World’s Best Beach’ by the Travel Channel. 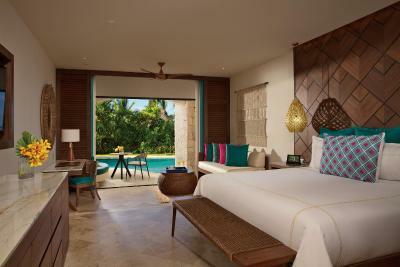 This exquisite AAA Five Diamond resort boasts sublime ocean views from 75 percent of its non-smoking suites, as well as ground floor suites with direct swim-out access. 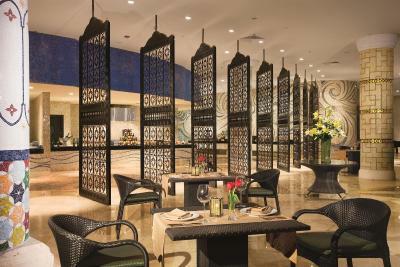 Indulge in the privileges of Unlimited-Luxury® including limitless top-shelf spirits, pool and beach wait service and 24-hour dining options allowing guests to enjoy late night bites at the Coco Café or stay in and order room service plus much more. House Rules Secrets Maroma Beach Riviera Cancun - Adults only All Inclusive takes special requests – add in the next step! 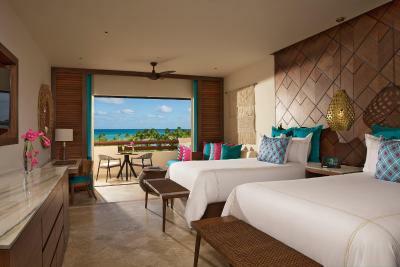 Secrets Maroma Beach Riviera Cancun - Adults only All Inclusive accepts these cards and reserves the right to temporarily hold an amount prior to arrival. A couple of the restaurants disappointed, but most of the food was excellent. Some bugs in the room. Great beach, nice staff, good food, fun activities, great room service. Being solicited to the point of having to be rude to stop the sales pitch to join the upgrade club at check in. The staff was the most pleasant. They assisted with all extras and plans. No complaints what so ever!!!! I didn't like that the bottom of the pools were rough. Some people liked it, I personally didn't care for it - I felt like it hurt my feet. The cost of the spa was really expensive. I also didn't know there was a dress code ahead of my trip. I wish I would've known - I would've packed a little differently. The beach. Not sure how seasonal this problem is, but most days formed a layer of several meters deep and up to a foot thick on the edge of the water made the otherwise fantastic beach (extremely white and fine sand) unpleasant, especially given all the little bugs that lived in the seaweed, plus the accompanying smell. Small particles all the way up to large mats of seaweed floating on the surface meant that sea bathing wasn’t possible, only in small stretches of the beach to the south. The mosquitoes. Property lies between the beach and a mangrove swamp meaning that tropical mosquitoes were everywhere. Normal bug-spray did not really help, recommend covering clothes in the evening or stronger bug-spray. Tennis-court. Not a huge issue but consisted of strange type of Astro-turf, which made it a bit difficult to play on. If you play at dusk, be prepared to be attacked by mosquitoes. Spa. USD200+ for a treatment is just rude. VIP services. Another word for time share presentation at the Secrets resorts we’ve stayed in. Got invited to a special breakfast/presentation before we even had a chance to see our room, right at the beginning of our stay, which was irritating. We turned it down but could see other guests being escorted around by reps. Looked like it ran for about half a day. Dislike the approach, although for us the rep gave up inviting us after about 5 minutes. Staff. Staff are so great it really makes a difference to your stay. Things to do. Hotel full of activities and quirky games (giant chess, mini golf, billiard football, 4-in-a-row basket, etc), with great but non-intrusive entertainment team (foam pool party, life sized angry birds game...) Pools. Two large pools with plenty of loungers Food. Decent food with many options; desserts look heavenly (though lack a little in flavour) - don’t miss the homemade marshmallows at the lunch buffet! Food hygiene absolutely fantastic - we ate seafood, rare beef and fish (tuna tartar, squid/salmon/octopus ceviche, sashimi, smoked salmon, etc) and a ton of fresh fruit and berries with no problem. Rooms. 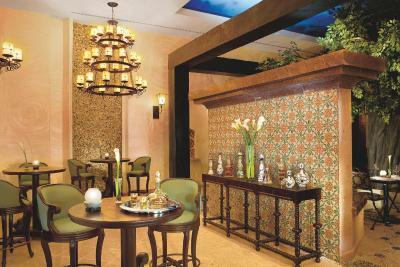 Rooms are large and nicely furnished with turndown service in the evening. 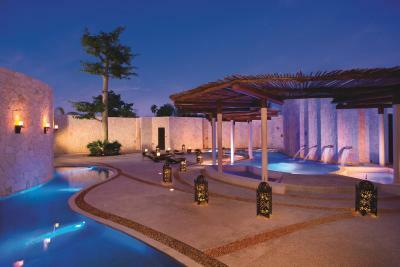 If you’re lucky enough to book a room with a swim-up pool, they are fantastic. Surroundings. Lots of animals (lizards and small mammals) on the hotel compound added to the atmosphere. The food for dinner at all restaurants needs improvement for a 5 star facility, it was never served hot, some of poor quality and disappointing. The expensive romantic dinner on the beach with lobster was the worst, slow service, cold food, no butter, no salt or pepper served. The hard sell of the “time share” is downright rude and absurd and makes the entire stay feel slimy and manipulative.